Times are changing. 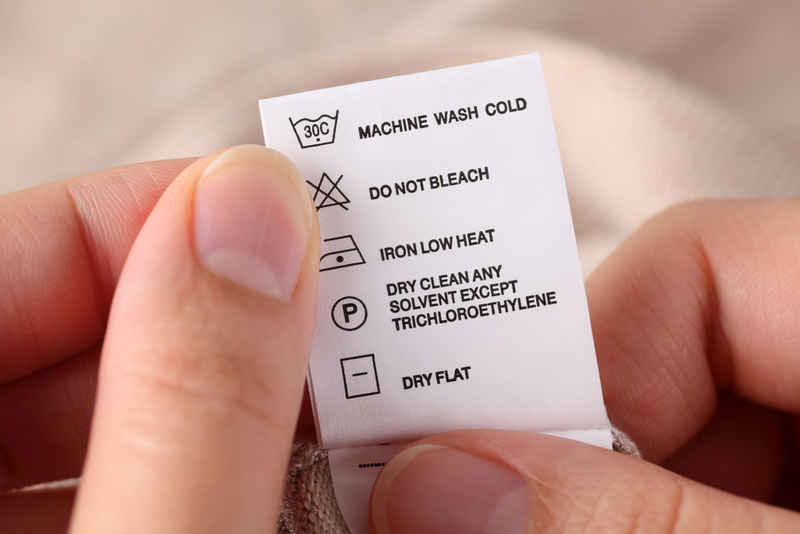 Not only in laundry chemical advances, more fabric friendly, more sustainable, but also in the range of textiles found in the high street and the trend for less formal business attire in many sectors. Dry cleaning outlets are realising the need to broaden their service offering to adapt to the changing needs of their customers and more complex structured garments. Keeping a keen eye on costs and staying competitive means launderers need to provide the best cleaning option for every job that comes through the door, and that means having choices. By introducing wet cleaning high street outlets and on-premise laundries can provide an enhanced service for both traditional and delicate fabrics, one that is kinder to the environment but also offers a smart use of machinery and chemicals. Cole & Wilson, part of the international Christeyns detergents and chemicals group, are specialists in the development and supply of products for the cleaning of all of today’s modern range of textiles, particularly in providing solutions for smaller dry cleaning and laundry installations. It can be daunting for staff and owners alike when considering adopting a new process so expert training, guidance and the opportunity to ask questions is an essential first step. There are essentially three major benefit areas in using wet cleaning. Many stains can be easily removed, wet cleaning can be used on delicate fabrics such as silk, leather, suede, beaded and luxury items, which might otherwise be turned away. With the right chemicals, the process will enhance the quality of the garment and increase lifespan. Adding wet cleaning as a service allows retailers to choose the process best suited to the garment and allows them versatility. Our wet cleaning process is kind to the environment using safe and modern chemistry, so no dangerous chemicals in the effluent and no air pollution from volatile solvents. Using this type of cleaning process can help retailers meet their ecological goals. When set up properly, there are savings in both time and utilities. The Cole & Wilson wet cleaning process uses less cleaning chemicals and saves on drying time, uses less water and washes at lower temperatures thus saving energy. The added benefit of being able to clean a wider range of work, offer extra services, makes a wet cleaning set up especially financially viable. For the customer, wet cleaning can reduce the cleaning and drying turnaround time meaning garments can be returned quicker. The wet cleaning detergents leave a fresh, pleasant smell and are less harsh on the fabric of some garments. For many retail outlets, it is finding a balance of wet and dry that is the best combination for their customer base. Often the most flexible option in a busier shop is having a wet cleaning and dry cleaning machine incorporating a biodegradable solvent like HiGlo. Christeyns partners with several different machine manufacturers and is able to offer a one-stop-shop including not only world-class wet cleaning products in their Cole & Wilson Pro-Fit range, but also training, installation, advice and on-going support on the detergents and auto-dosing systems. Add wet to dry with confidence; we’re here to help.